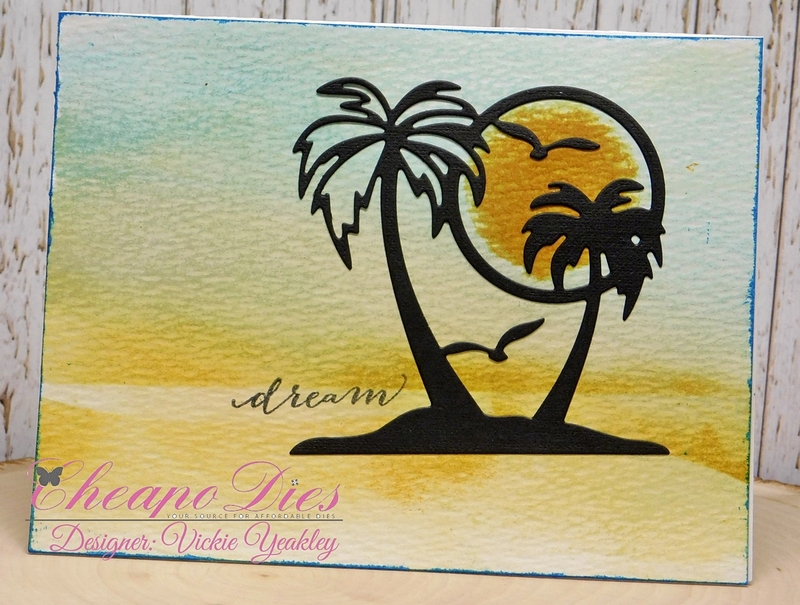 Vickie Y sharing a palm trees silhouette card with you today. 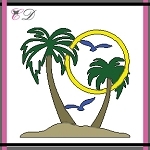 I used watercolor paper to create a watercolor wash using distress inks; I created a circle stencil to sponge ink into to create a background for the sun/moon circle before adhering the die cut to the card. Gorgeous scene Vickie, I want to be there right now, what a beautiful use of the die!